Instantly transform your site into a powerful learning management system with LearnDash’s WordPress LMS plugin. With a click of a button you can create and sell courses, set-up quizzes, automatically award certificates, and download robust user activity reports. LearnDash is compatible with any theme, so you can customize your learning management system to your heart’s content. 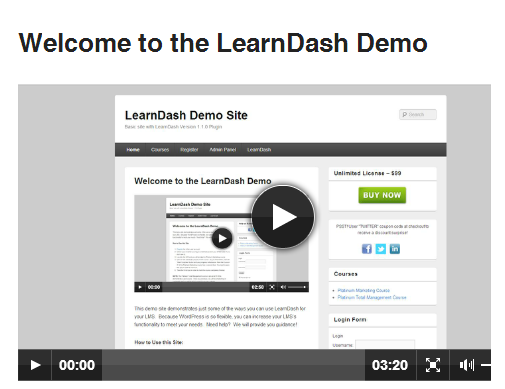 Easily integrate LearnDash into your existing site, creating courses, and begin awarding certificates.